Oxford Valance - Sew What? Sew Anything! - Sew What? Sew Anything! 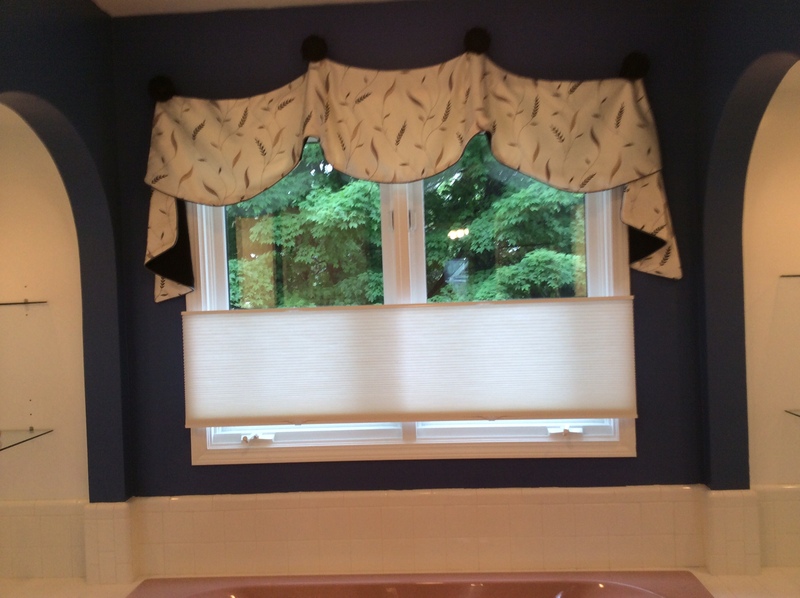 This Oxford Valance is hung from custom drapery hardware – hold backs. Alta cordless honeycomb blinds area hung outside mount to add privacy for a master bathroom.